Simple and industrial in style, this set is ideal for smaller dining spaces. An urban style is created with the use of metal and wood in the set. 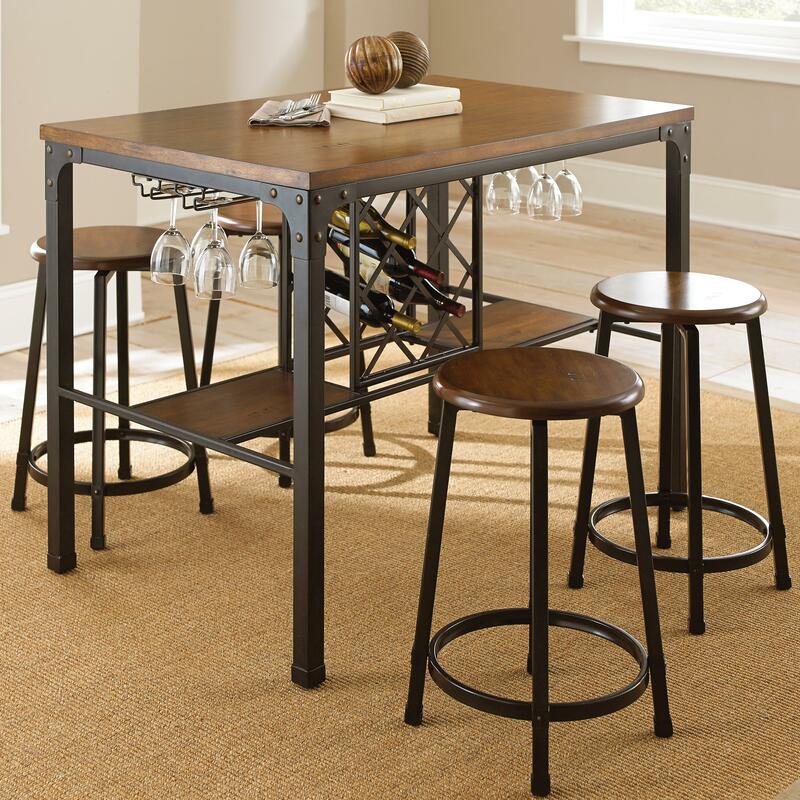 The counter height table promotes casual dining and features built-in storage for wine bottles and glasses. 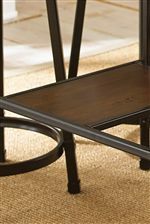 The legs of the stools have a metal ring stretcher that provides a place to rest your feet as you sit around the table. 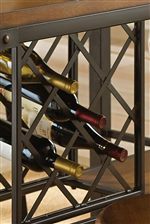 The Rebecca 5 Piece Wine Storage Counter Table Set by Steve Silver at A1 Furniture & Mattress in the Madison, WI area. Product availability may vary. Contact us for the most current availability on this product. The Rebecca collection has an industrial style. 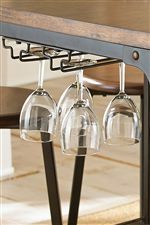 Fits great in smaller dining spaces and makes entertaining more convenient with its built-in storage. The collection features a counter height table with wine bottle and storage. The wooden table top and metal legs complement each other nicely and give a space a modern look. 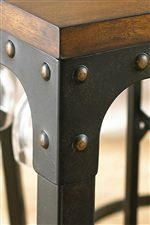 The counter stools have a similar style and the metal ring stretcher provides a spot to relax your feet. This urban collection will allow you to entertain guests without leaving the room. The Rebecca collection is a great option if you are looking for Industrial furniture in the Madison, WI area. Browse other items in the Rebecca collection from A1 Furniture & Mattress in the Madison, WI area.